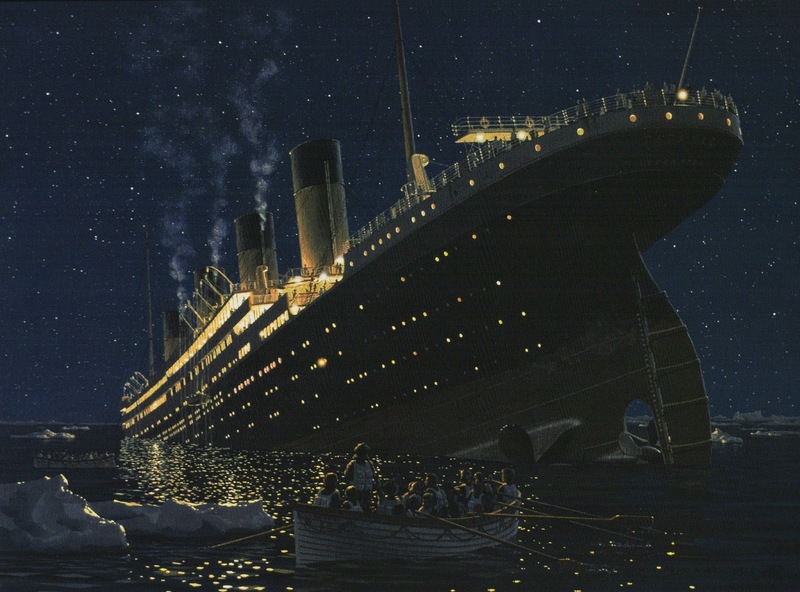 As Titanic's sinks by the bow, her stern rises out of the water. The passengers in the lifeboats witness this horrific event from a distance. Titanic is tilted at such an angle that her propellers are are visible. Titanic was a beautiful sight at night with all of her decks and cabins lit. For many passengers it was their first time to see the ship at night. Seeing Titanic's lights and watching them disappear beneath the water is a memory that survivors will never forget. "I shall never forget the terrible beauty of the Titanic. She was tilted forward. Head down. To me, she looked like an enormous glow worm. Electric lights blazing in every cabin, lights on all her decks, lights to her mast head. I could make out groups of men standing with arms crossed upon their chests and lowered heads. I'm sure that they were in prayer. In the midst of them a man stood above the rest, his hand stretched out as if he were pronouncing a blessing. I think it must have been Father Byles."